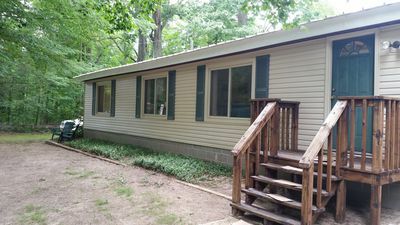 Accessible Lake MI Beach-No Stairs, Hot Tub, Woods, 2 Fireplaces and Privacy. Enjoy the serenity and solitude of this well-appointed vacation home. 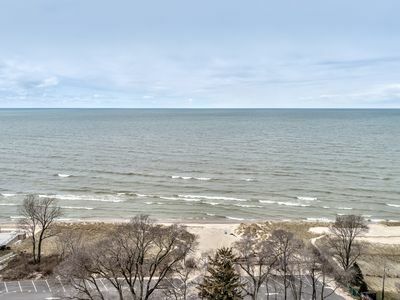 Nestled in a wooded lot a block away from the lakefront, and a three block walk to a beautiful, private Lake Michigan beach, it's the perfect get-away. The lakefront is on a bluff in this area, but this is one of the most accessible beaches and largest association beaches in the area. You can walk (it’s down a ravine) or drive and park right at the beach, no stairs. Because the beach is private, there are no closing times, you can have a bonfire or walk your dog on the beach. The property is surrounded by woods and gardens with a secluded deck and hot tub, in a private gated community. 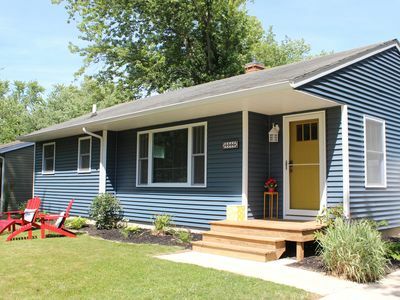 Three bedrooms, plus sleeper sofa, two full baths, it sleeps eight people (6 adults max). Master suite on the first floor has a queen size bed, perfect for the senior members of the family. Large bedroom on second floor is set up for kids and families with a trundle and queen size bed in one room. The third bedroom has a queen. 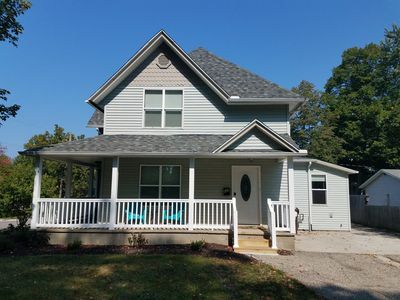 The house is kid-friendly, and comes with a portable crib and high chair. There are also lots of games, toys and books. 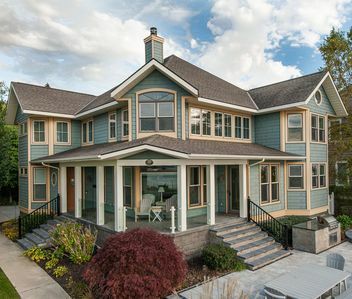 The interior has two wood-burning fireplaces, an open floor plan and plenty of space. 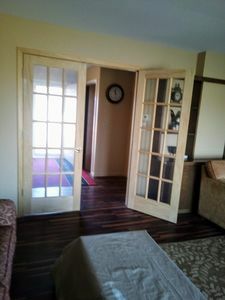 The living room has a lot of natural light and access to the deck. The kitchen has everything you need for cooking, and there's a gas grill on the deck. There's also a washer and dryer, and central air conditioning. 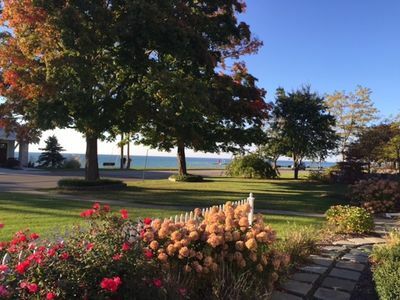 The house is in a quiet, association neighborhood with a shared beach. There are tennis courts and a park for viewing the sunset. 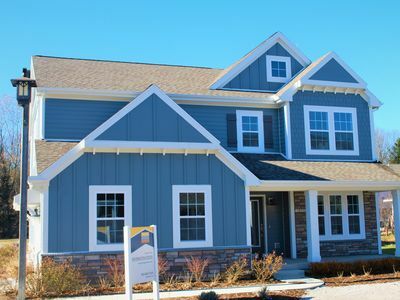 Several world-class golf courses are within minutes of Glenn Haven Shores. 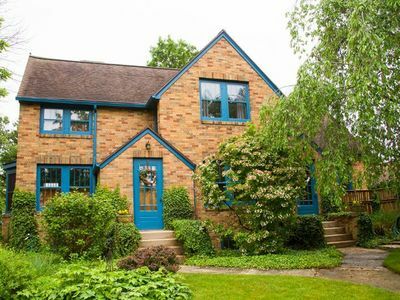 Near the country town of Glenn, it’s just 10 minutes from the shopping, dining, culture and activities in Saugatuck/Douglas and South Haven. 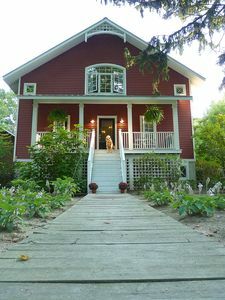 It's also near the wineries, breweries, ciders and orchards of Fennville. 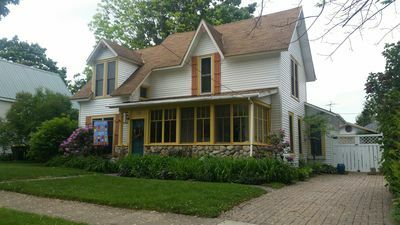 20 minutes from Holland, MI if you are looking for more shopping and dining. 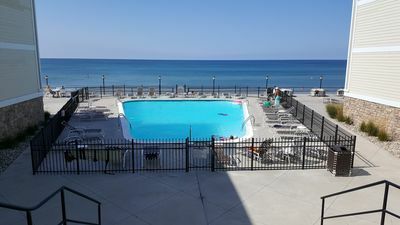 An easy two to two and a half hour drive from the Chicago Loop, and less than three hours from Metro Detroit. Only 45 minutes from Grand Rapids or Kalamazoo. 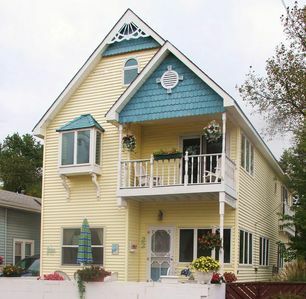 • 3 bedroom, 2 full baths, sleeps 8 with 3 queens, 2 twins, and a full size sleeper sofa. We do not take more than 6 adults or families of 8. * The water has been high in the last couple of years so there has been very little beach, it's difficult to predict what it will be like for summer of 2019. 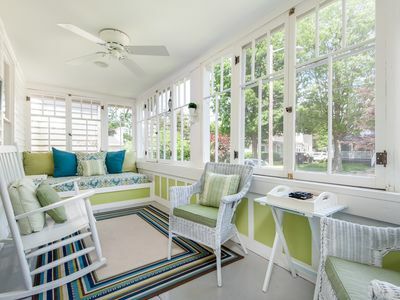 Weekly Discounts at Cozy Cottage w/Sun Porch 2 Blocks to Kids Corner & South Beach! 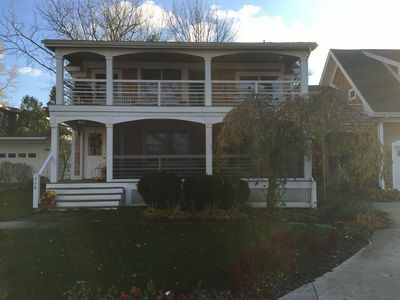 2 story house with attached upper apartment over garage, pets welcome! 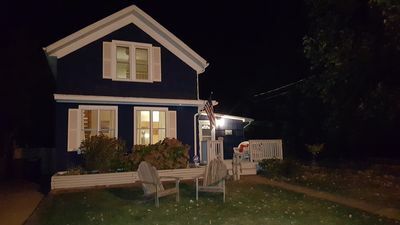 4 bd/2 bath Pet Friendly. 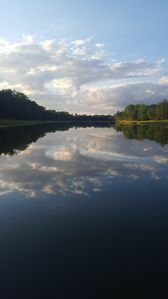 Short walk to Lake and Phoenix. 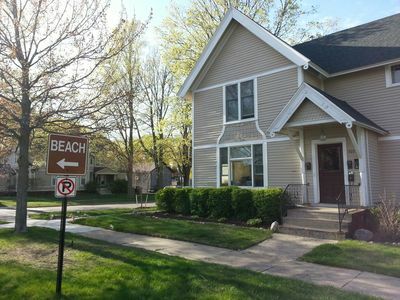 MICHIANA #4: Two bedroom one bath in downtown South Haven! South Beach Favorite Landmark Home, Walking Distance To The Beach And Downtown. The Yellow Door Cottage - AWESOME GARAGE GAMEROOM! 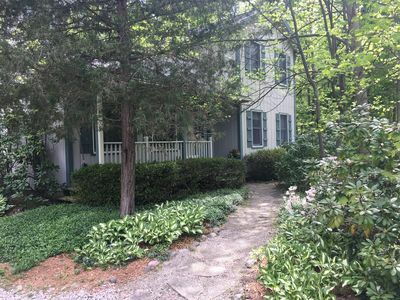 Lake Views & Fire Pit - 1/4 Block to South Beach & Kid's Corner! Full RV/camper hooking on a BEAUTIFUL site!